Love the feel of smooth hairless skin but hate the painful and horrible looking bumps and ingrown hairs that can come from shaving? Check out our tips on how to prevent bumps and ingrown hairs from shaving. I love the smooth just-shaved feeling on areas like my legs and underarms. I don’t even mind shaving daily to achieve that feeling, but unfortunately, my skin has always been prone to having bumps and ingrown hairs from so much shaving. Since warmer weather will be here before we know it, I’ve been testing out ways to prevent bumps and ingrown hairs after shaving. Luckily, I’ve found a few things that really do work! See how to prevent bumps and ingrown hairs from shaving below. 1. Wet the area with warm water before shaving. Warm water helps to open up your pores. Ingrown hairs are caused by hair that gets trapped under the skin or has curled around and grown back into the skin. Opening up your pores with warm water can help the hair follicles to come out completely. Using an abrasive scrub can help get rid of any dead skin before shaving to help reduce ingrown hairs as well. 2. Make sure your razor is in good condition. We all like reusing razors and blades to help save money, but it’s important to make sure they are still in good condition and clean. Razors can warp and bend over time, and also become clogged with hair and dead skin. This can cause an uneven shave and leave bacteria on your skin that causes bumps. 3. Use a good lubricating shaving oil or gel. I’ll admit before that I’ve been in such a hurry that I’ve shaved with just water or even dry. Yep, it did a number on my skin afterwards. I recently tried a new-to-me product called Shave Secret and it has done wonders for my skin and shaving routine. 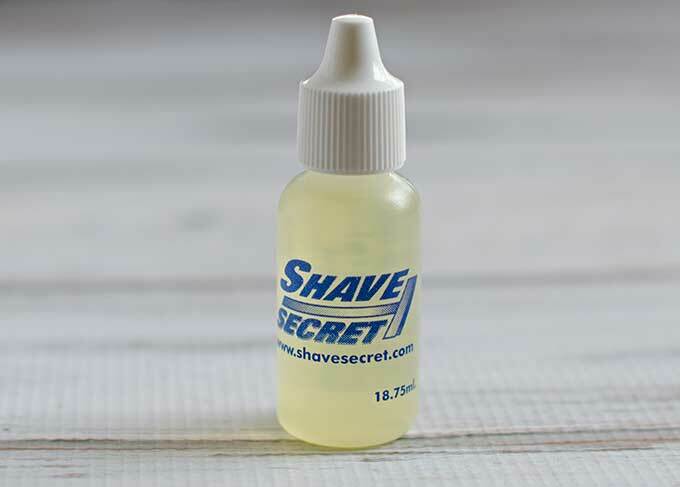 All you need is to wet the area with warm water and apply a few drops of Shave Secret Shaving Oil and rub over your skin then shave as normal. It totally replaces shaving cream or gel and a little goes a long way. I love that it’s made in the USA and from essential oils and a touch of menthol. I love even more how it makes my skin feel so soft and smooth. Mr. Savvy loves it for shaving too! 4. Use small light strokes versus long heavy strokes when shaving. It can be tempting to shave with heavy strokes to try to get as close of a shave as possible so you don’t have to shave quite as often. However, doing so can really irritate your skin and cause redness and bumps. Go slow with small light strokes and your skin will thank you. 5. Wash the area once you’re done shaving and apply moisturizer. As I mentioned above, those irritating small red bumps can be caused by bacteria already on your skin, or that comes from your razor. When done shaving, it’s a good idea to wash the area with soap, dry and then moisturize so your skin doesn’t dry out and get further irritated. The Shave Secret oil I mentioned above also helps with this. 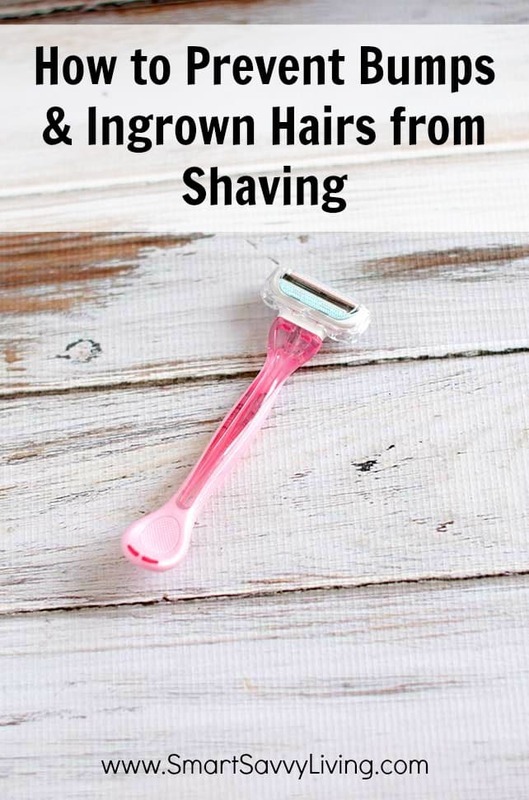 Do you have any other tips for how to prevent bumps and ingrown hairs from shaving?